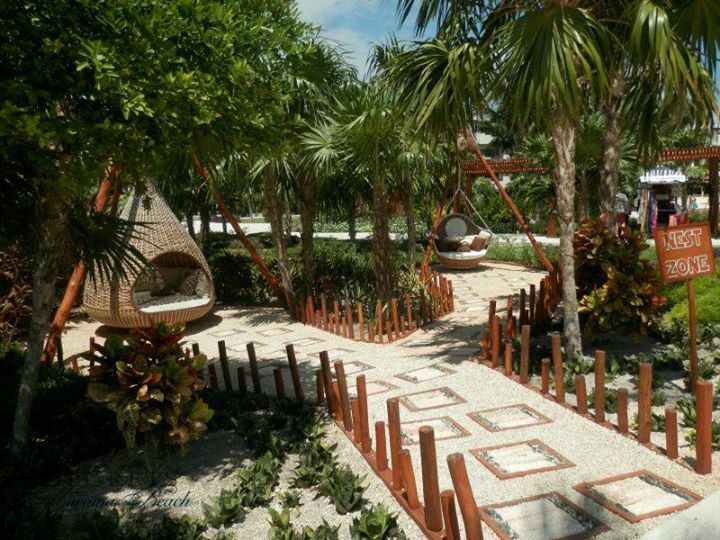 A Secret No More… Check Out the ‘Nest Zone’ at Secrets Maroma Beach! What’s the best kept secret at Secrets Maroma Beach Riviera Cancun? Our new ‘Nest Zone!’ These secluded ‘nests’ offer the perfect place to relax or take a nap. Whether you plan to cuddle up next to someone special or lounge by yourself, there’s no better way to spend a lazy afternoon at Secrets Maroma Beach! Perfectly situated on the Yucatan Peninsula, Secrets Maroma Beach Riviera Cancun beckons along a shoreline recognized as a ‘World’s Best Beach’ by the Travel Channel. This exquisite AAA Five Diamond resort boasts sublime ocean views from 75 percent of its suites, as well as ground floor suites with direct swim-out access. 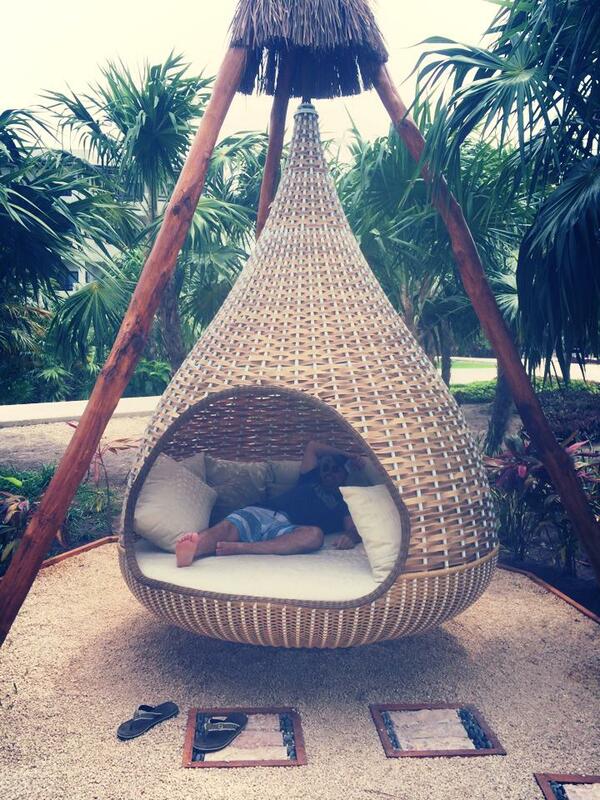 The new ‘Nest Zone’ at Secrets Maroma Beach Riviera Cancun offers a secluded place for a relaxing nap! A guest at Secrets Maroma Beach Riviera Cancun takes a moment to relax in the ‘Nest Zone.’ Photo courtesy of Heather P. W.
Indulge in the privileges of Unlimited-Luxury® including 24-hour room service, limitless top-shelf spirits, pool and beach wait service and more. Each suite is truly deluxe featuring inspiring views of the expansive gardens or crystal clear Caribbean. Twelve smaller pools offer several suites with private swim out access, while the pristine infinity pool provides breathtaking views stretching to the horizon. Finely appointed suites offer four-poster canopy king size beds, private and furnished terraces with plunge tubs, full Italian marble bathrooms with jetted whirlpool baths, daily refreshed mini-bars and 24-hour room and concierge services. Meanwhile, enjoy complimentary Unlimited Connectivity – offering free WiFi, free calling to the U.S. and Canada, the ability to book excursions or spa treatments and more. The pleasure continues with gourmet restaurants and exciting nightspots, with the added bonus to explore nearby participating resorts with the Sip, Savor & See Dining Experience. Guests can perfect their golf swing with complimentary greens fees at Grand Coral Riviera Maya or relax at the harmonious 13,000 sq. ft. Secrets Spa by Pevonia, offering a plethora of restorative treatments. And when the sun sets, live evening shows and specialty themed events will entertain and amuse. If you can’t wait to snuggle up in one of our new ‘nests,’ then plan your getaway to paradise now! When you book your stay at Secrets Maroma Beach by Sept. 30, 2015, you can save up to 40% off your vacation and receive up to $400 USD in resort coupons with our “Fall into Savings” special offer. There are so many reasons to love Secrets Maroma Beach. Come discover all of them for yourself! This entry was posted in Secrets Maroma Beach, Secrets Resorts & Spas and tagged Nest Zone, Relaxation, Riviera Cancun, Secrets Maroma Beach, Secrets Resorts & Spas. Bookmark the permalink. ← Extra! Extra! Secrets Maroma Beach and Secrets Playa Mujeres featured on ExtraTV! I’ve seen these nest in other places and they are really relaxing, I red that it’s because of two main things, it’s secret or covered and it moves, so it’s kind of like a hammock but much more comfortable, I wish I can go check them out soon!